We are back from France after having an amazing holiday in The Loire Valley. 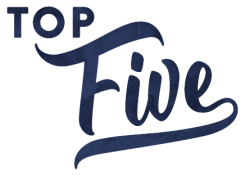 It is such a beautiful part of the world, we will share our adventures in some further posts but in the mean time lets look at this weeks top five! 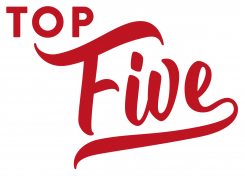 The reason we started our Cocktail of the Week feature was because we found ourselves with far too many bottles of obscure spirits lurking in the back of the cupboard. We have started to make a dent in these supplies so we thought we should start to replenishes them. 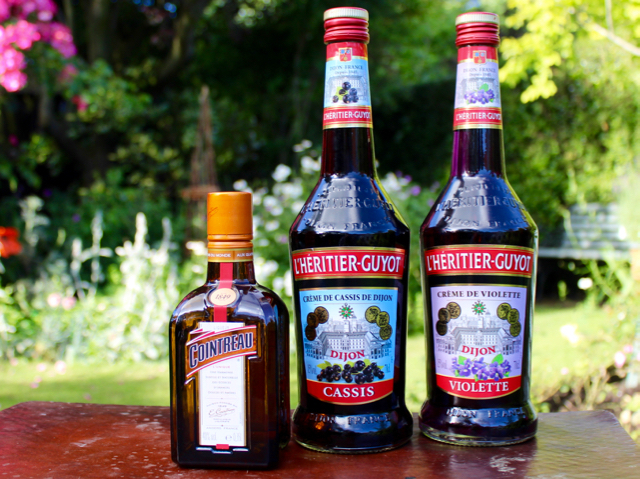 We have brought home, Cointreau (an Orange flavoured liqueur), Crème de Cassis (Blackberry liqueur) and Crème de Violette (Violet liqueur). We are excited to see what cocktails we can make with these new ingredients! Finding souvenirs when we are on our travels is always a tricky endeavour. One one hand we always like to have a reminder of the places we visit but on the other hand most souvenirs are just not very good. 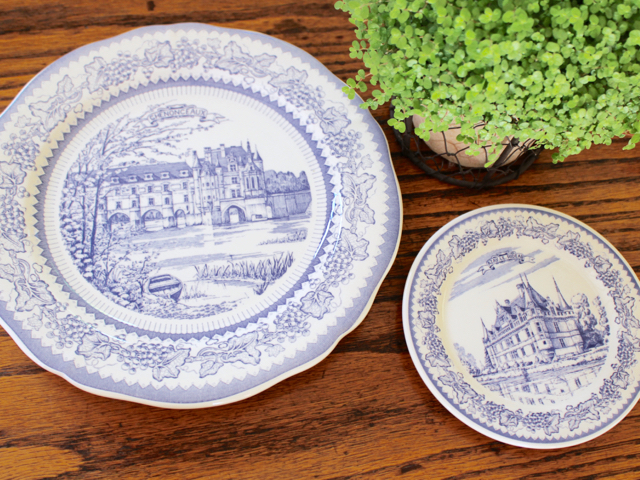 That is why we were excited to find these Gien plates of a couple of the chateaux we visited. We have recently started collecting blue patented plates for an interior design idea we are working on. Staying in self catering accommodation in a tiny village meant we stayed in most nights and enjoyed cooking with local ingredients to make lovely traditional french dishes. 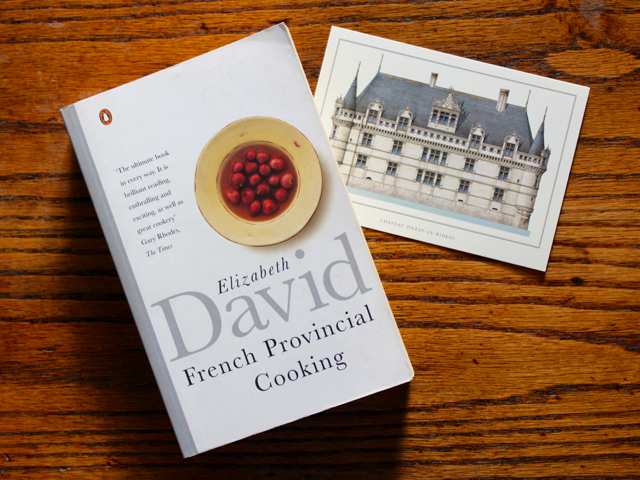 To help with the recipes we packed a second hand copy of Elizabeth David’s French Provincial Cooking which despite being over 50 years old is still a fantastic resource. Needless to say we had some fantastic meals accompanied by some lovely wines. Whilst wandering around the grand gardens and the quite little towns of the Loire Valley we kept on noticing the same climbing rose again and again. 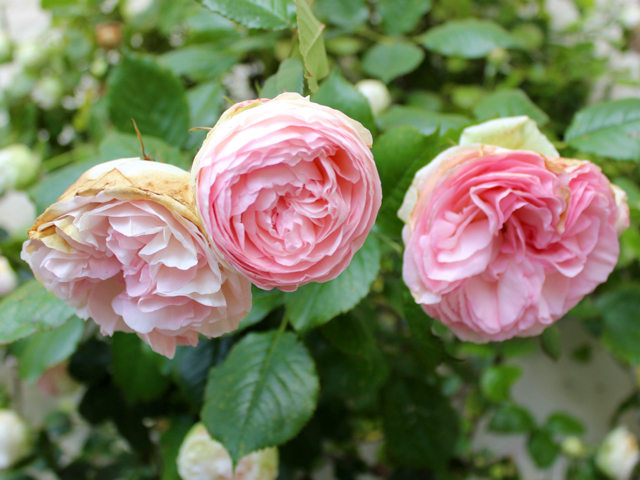 These beautiful old-fashioned flowers are pink on the inside fading to a cream on the outside. Being suitably charmed by this flower we had to find it’s name, after a bit of searching (and a visit to a garden centre in Tours) we discovered it is Rosa ‘Pierre de Ronsard’ also known in the UK as the Rosa ‘Eden 88’. Every time we come back from holiday we are full of ideas and inspiration. Whilst we were in France Rich was inspired but the gardens, Calum inspired by the food and drink and we were both inspired by the property and interiors. 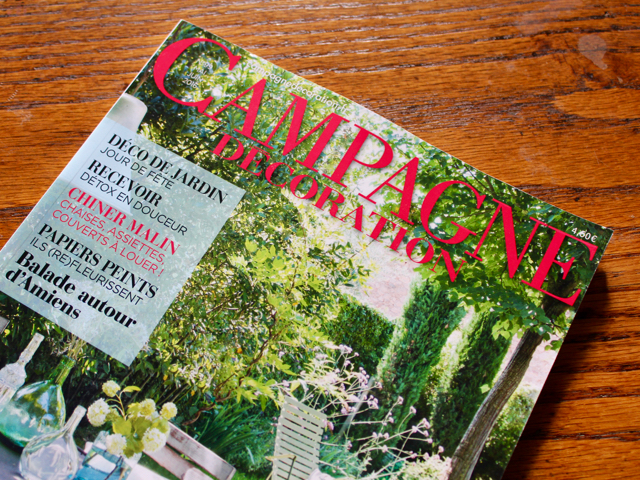 Seeing as Rich has a love of magazines he decided to bring back Campagne Décoration to keep the ideas flowing!